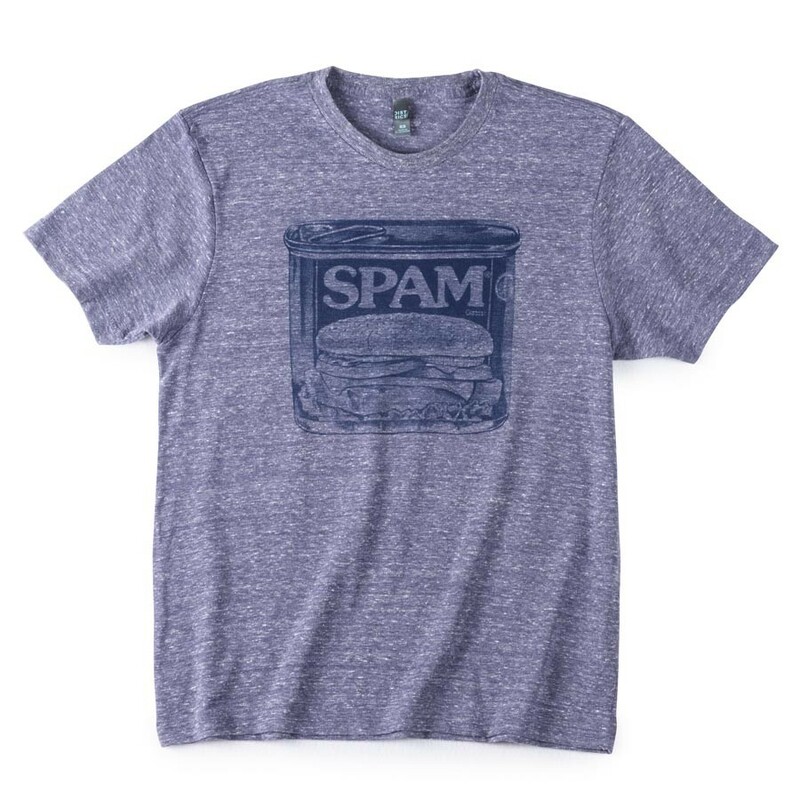 Super soft blue heathered tri-blend t-shirt with navy SPAM® Can imprint. Available in adult sizes S-3XL. Color shades may vary.